Father's Day is a celebration honoring fathers and celebrating fatherhood, and the influence of fathers in society. It’s also a great day to cook out on the grill. Whether you do all the grilling and give your dad some rest, or if your father just wont relinquish the grill, Ive got some great recipes to share with you. If you have ever had the opportunity to eat at Texas De Brazil, the Brazilian churrascaria chain that that offers a selection of delicious mouthwatering meat until you scream ‘no mas', your going to love these recipes. 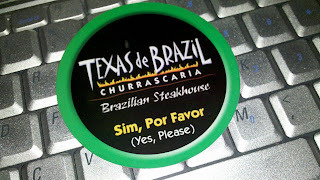 Men love grilling meat, and TDB as I like to call it, is famous for its high-end meat lover's paradise. This Fathers Day, treat your dad to these recipes that are perfect for grilling this Sunday, or any day. -Start making the garlic sauce; in a blender, add the garlic and about half of the oil, cover the blender and turn it on, blend for about 5 seconds, remove the lid carefully, with the blender on slowly add the remaining vegetable oil. Blend until the oil emulsifies and the sauce has the consistency of a mayonnaise, about 20 seconds. Be careful to not over blend or the sauce will break, transfer the sauce to a small container and refrigerate. -Move the picanha to a cutting board, using a sharp knife, remove any excessive amount of fat, shaving fat little by little to have a uniform cap of about ¼” to ½”, turn the piece of meat and remove any silver skin and connective tissue from the bottom. -Find the direction of the grain and start cutting 1 ¼” thick strips on the opposite direction of the grain, the first strips will be small, just tips. -Once you the strips and few tips cut, cut the longer strips about 3” long. -You will need 2 skewers; hold one piece of meat at a time and start skewering from the opposite side of the fat, when you are just about to cross the fat, bend the piece so the fat will be exposed. -Season the meat with kosher salt, both sides, using a kitchen brush apply the garlic paste to the meat, you can use as much garlic as you want according to your preference. -Place the skewers over the fire, let it grill without turning until the meat had seared and the fat has a nice golden color, about 5 minutes, turn the skewer and repeat. -Transfer the skewers to a serving tray, or remove the meat from the skewers and place on a serving platter, let the meat rest for 10 minutes before serving. -Using a large chef knife chop the parsley and cilantro, move to a bowl and add all other ingredients. It can be used as a marinade for beef and chicken or as a sauce for the meat after grilled. The chimichurri can be refrigerated for about 2 weeks. As a fan of certain South Florida sports teams, I have heard a great deal about Duffy's. Somehow, I ended up never going to a South Florida location, but my friends were always telling me to go to Duffy's. So, as you can imagine, I jumped at the chance to do a menu tasting for the newest Duffy's location in Lake Mary. What is Duffy's you ask? Well..Duffy’s is a sports grill, that is based in Lake Worth, Florida and operates 26 full-service, casual-dining restaurants, all of which are located in Florida. Established in 1985, the Duffy's brand has become a regional market leader known for top quality casual dining with an emphasis on freshly prepared ingredients and grilled items. 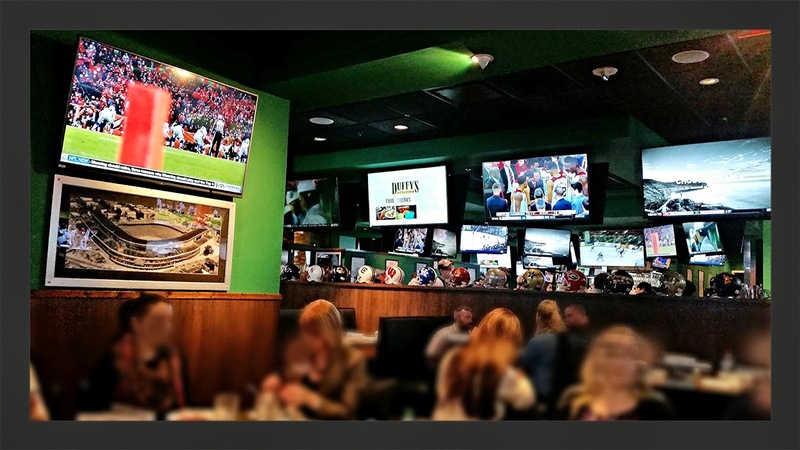 Duffy’s boasts a distinctly upscale sports environment complete with satellite programming, more than 75 TVs per location, and framed authentic sports memorabilia throughout each restaurant. With a reasonably priced menu of tasty food, and all day 2 for 1 drink specials, I started to see what all the fuss was about. Duffy’s menu features freshly prepared ingredients and grilled items that has everything from Chinese chopped salads to Churrasco steak. Guests will enjoy signature favorites such as Duffy’s BBQ baby back ribs, half pound certified Angus beef burgers, grilled-to-order steaks, and a variety of salads and pastas. 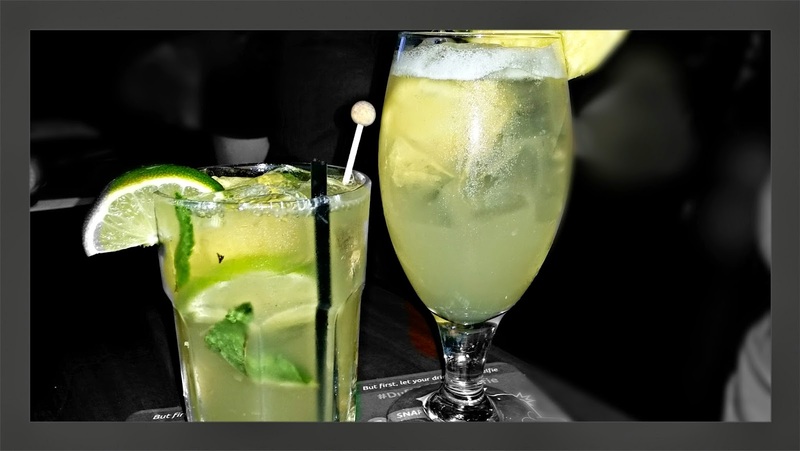 A Pineapple Mojito and a Caribbean Breeze cooler were the perfect way to get the evening started. The appetizer list at Duffy's is pretty impressive, but there is something for everyone. 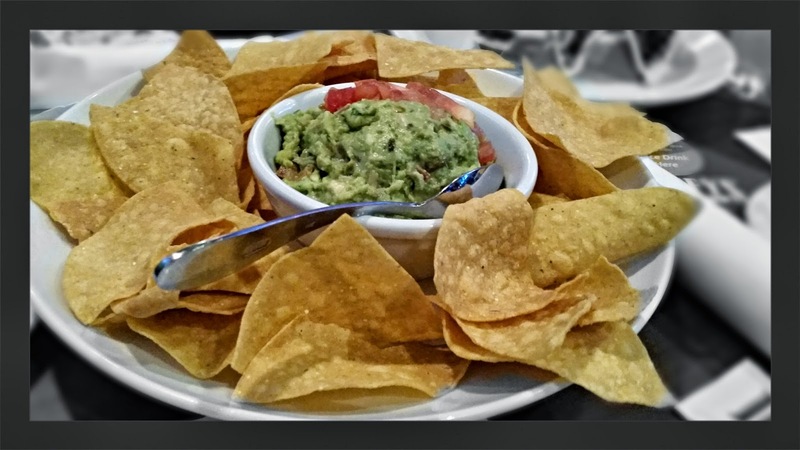 The Guacamole was pretty tasty and had a bit of spice. 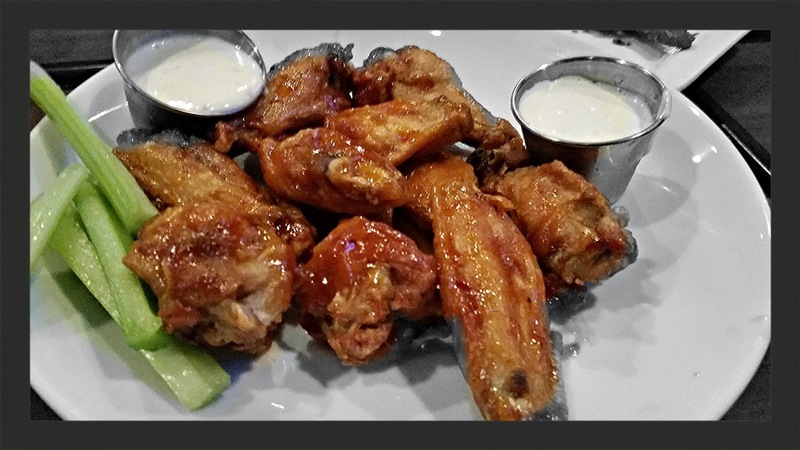 Wings come in a variety of flavors, like Asian sesame, sweet Buffalo, spicy orange ginger and firecracker to name a few. 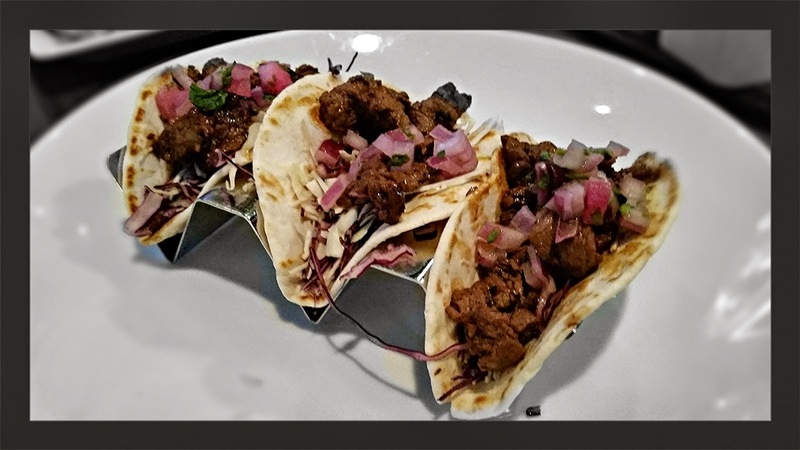 The Korean Beef Mini Tacos at Duffy's are legendary. Decently seasoned beef gets topped with a cilantro and onion relish and a spicy chili garlic sauce. 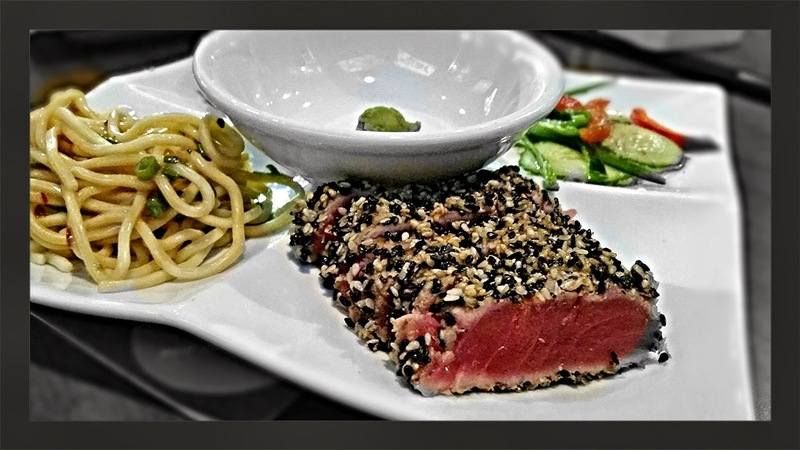 The large order of Sesame-Crusted Ahi Tuna is seasoned and coated with sesame seeds and seared in sesame oil, served with cucumber salad and Soba noodles with Asian dressing. 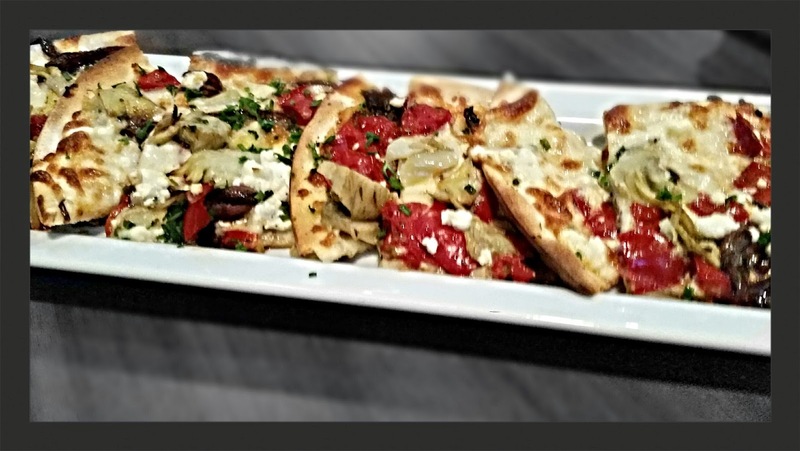 A newer item, the Roasted Artichoke & Goat Cheese Flatbread with balsamic, onions and roasted red peppers was pretty extraordinary, especially for a sports grill. 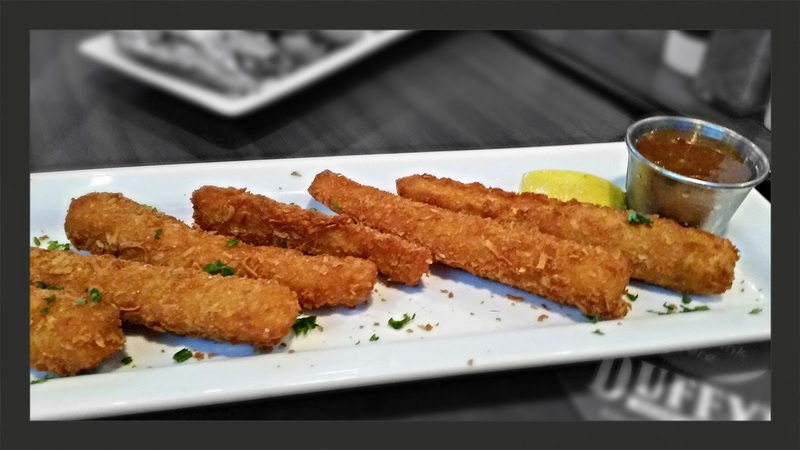 Don't worry, the Coconut Crusted Dolphin Fingers are really Mahi Mahi dolphin fish. These are deliciously hand-breaded in sweetened coconut and Panko bread crumbs and fried golden. I'm a sucker for a good burger, so the Hangover Burger was my entree choice. 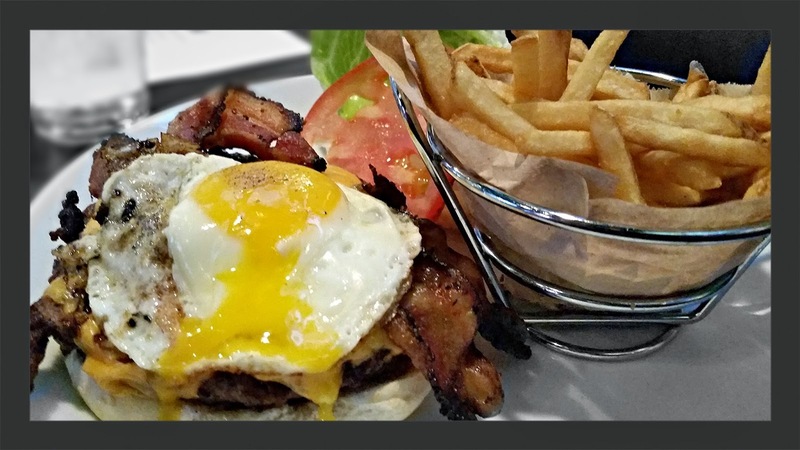 With a sunny side up egg, pepper-crusted bacon, two slices of American cheese and a half pound burger, you will not be disappointed. 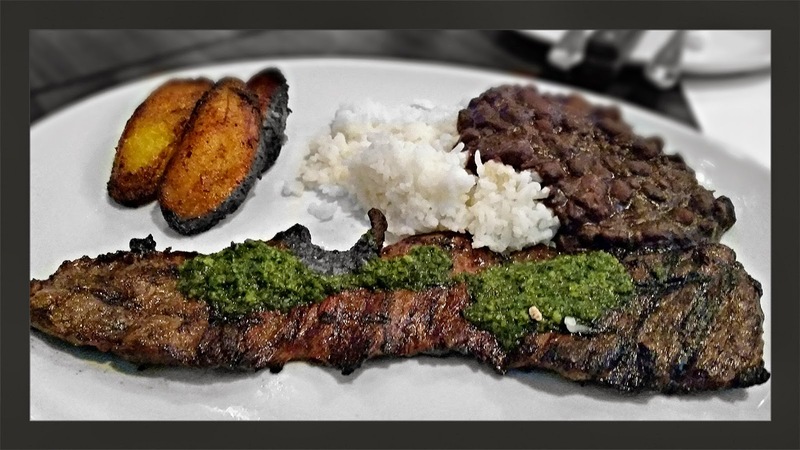 The Churrasco Steak is a certified Angus skirt steak with chimichurri, black beans, rice and plantains. Duffy's did an exceptional job bringing a Miami favorite to an upscale bar menu, as this was a very good version of Churrasco. 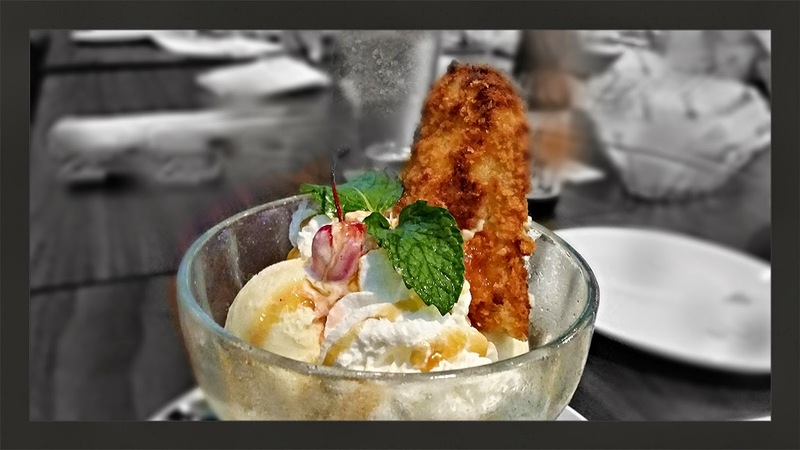 A Crunchy Fried Cheesecake is a great ending to any night, especially when it is served with two scoops of vanilla ice cream, Ghirardelli caramel sauce,whipped cream and a cherry. Duffy’s arrival in Lake Mary is actually the second Central Florida location. The first one opened up last year at 4158 Conroy road, at the mall at Millenia. The restaurant is open daily for lunch and dinner and offers a great combination of high quality food, affordable prices and great hospitality with great drink specials. Duffy's is big on providing a community atmosphere and really does a great job of it by offering something for everyone. Locals will want to join Duffy’s free MVP loyalty program to earn generous rewards and exclusive benefits. MVP Members begin earning points and rewards on their first visit and can take advantage of discounts such as the Afternoon Break, which gives between 20 and 50 percent off of food purchased on weekdays between 2 and 4 pm. MVP's earn one point for each $1 spent and when they accumulate 100 points, a $10 credit for food and beverages is automatically loaded on their MVP card. They can even earn points faster on Tuesday when members earn Double Points. Everyone who joins can look forward to free offers and gifts sent via email. Duffy's has re-imagined and elevated the sports grill dining experience. All of the food we sampled was delicious and the drinks were made properly. As far as sports grills go, Duffy's is pretty hard to top. One of the many great things about Visit Orlando's Magical Dining Month, is that it also includes a great deal called Magical Nights at some of the finest resorts and hotels in Orlando. There are over seventy restaurants participating this year and over twenty hotels are participating in the Magical Nights program. Magical Dining Month is the month long program from the folks at Visit Orlando where participating restaurants feature three-course, prix fixe dinners at the exceptional value of $33 per person. Magical Nights offers guests the opportunity to make the magical dining experience a truly memorable occasion by turning it into an overnight stay. Many of the Magical Dining restaurants are located in area hotels and resorts, and are offering a special stay and dine package that includes hotel accommodations and a Magical Dining dinner for two. This year Reunion Resort and their beautiful indoor / outdoor restaurant that goes by the name of Eleven is participating in the program. Eleven, as you may have guessed is on the eleventh floor of the Reunion Grande, the resorts most luxurious one and two bedroom villas. The restaurant is very chic and upscale and features an outdoor roof top lounge that offers stunning views of the skyline and the nightly fireworks display from Disney's Magic Kingdom. The menu at Eleven is full of handcrafted cocktails and steakhouse favorites that showcases prime cuts of beef with rubs, sauces, and other enhancements available to add to your selection. 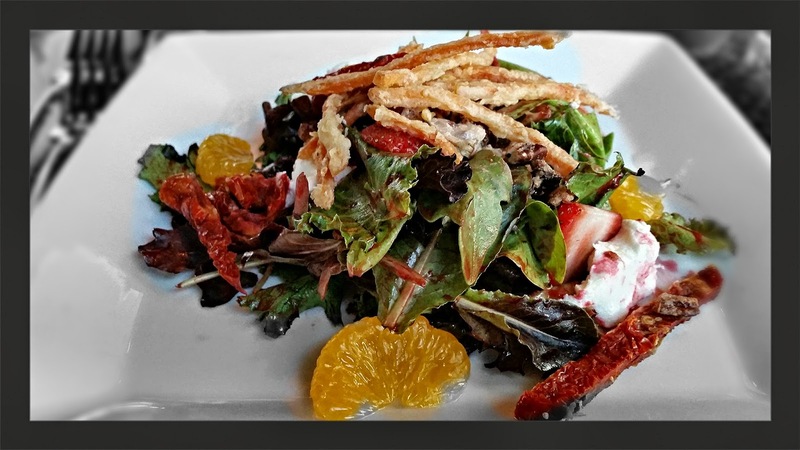 The first of two appetizer choices is a very refreshing Strawberry & Mandarin Orange Salad made with mixed greens, caramelized pecans, sun-dried tomato, goat cheese, and raspberry dressing. Sun-Dried Tomato and Tarragon Aioli, is your second choice for an appetizer. 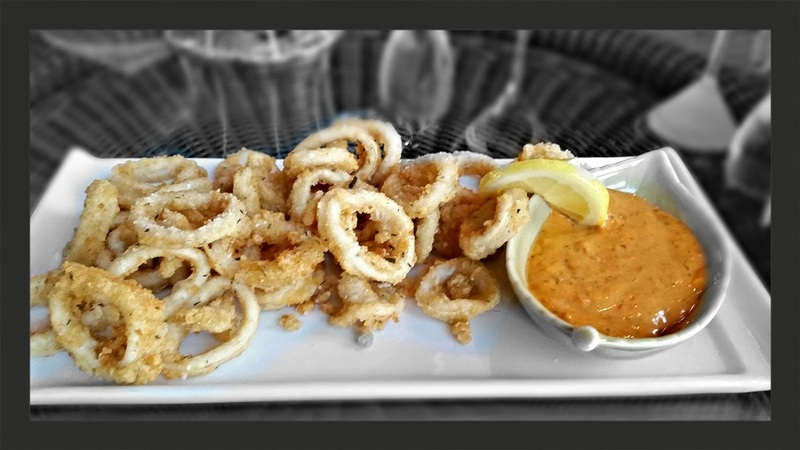 The calamari was breaded very delicately and was quite delicious. There are three different entree selections to choose from. 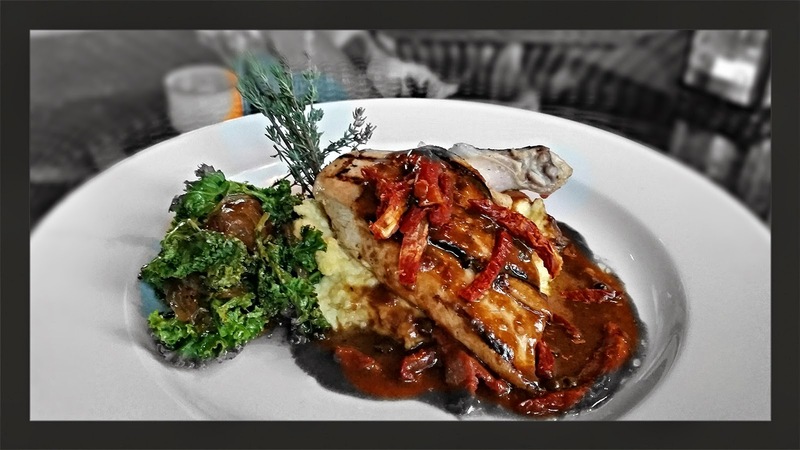 The Organic Tanglewood Farms Chicken with a citrus braised kale, havarti polenta, and a tomato demi glaze was an excellent dish. 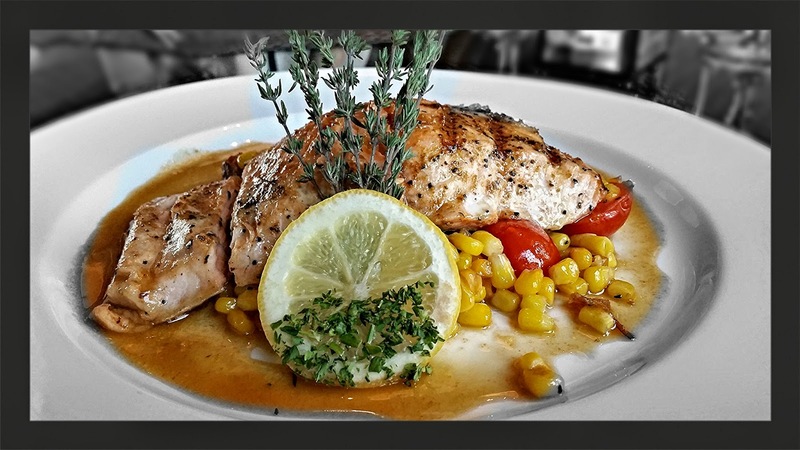 One of my favorites was the Bourbon Glazed Salmon with a sweet corn and bacon sauté. The glaze was not overly sweet, and went really well with the Norwegian salmon. 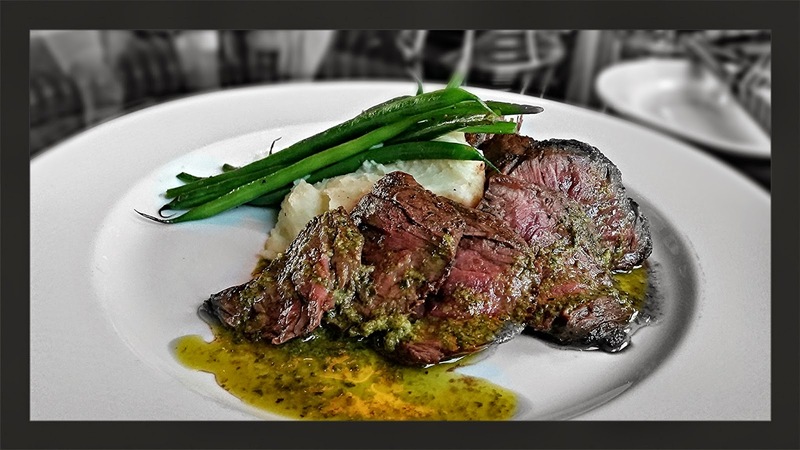 For you steak lovers, the Grilled Hanger Steak with whipped potatoes, haricot verts, and chimichurri will not disappoint. Very tender slices of steak packed with flavor in every bite. 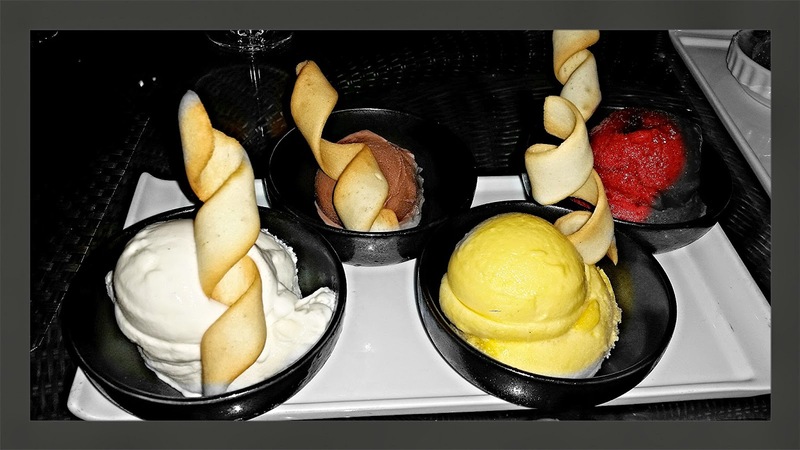 If you want to end your meal on a lighter note, I would suggest choosing one of the Vanilla, Chocolate, Mango, or Blackberry Gelato selections for desert. All flavors were fresh and delicious. If you want a traditional desert, go with the Crème Brulee. Simple, yet elegant and creamy. 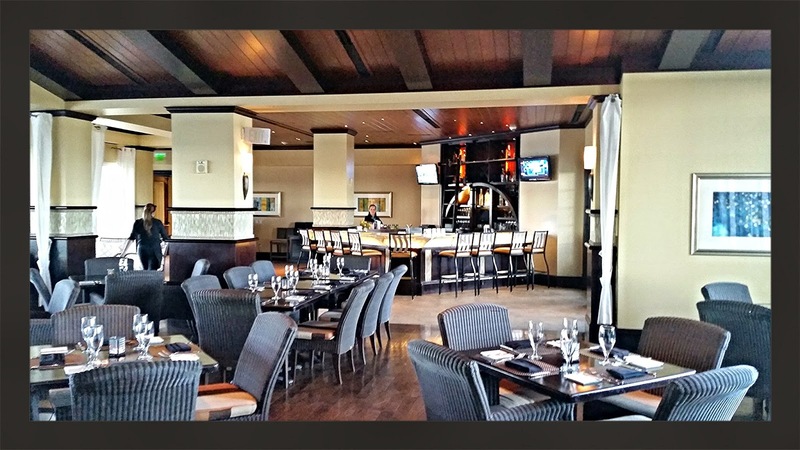 The Reunion resort is a spectacular place to visit, even if its just for dinner. As mentioned earlier, at around 9:00 pm or so, if you are at Eleven restaurant, you do not want to miss the wonderful fireworks display from the neighboring Magic Kingdom. Magical dining, magical food and magical fireworks are sure to impress just about anyone, but for a real special treat, book the Magical Night package. For just $225.00 per night you and a guest will enjoy one night in a 1 bedroom deluxe suite and dinner for two at Eleven Restaurant, and that will be a night not soon forgotten. Reunion Resort features three signature golf courses designed by golf’s greatest legends: Jack Nicklaus, Tom Watson and Arnold Palmer and they are the only resort in America with an ANNIKA Academy facility on site. The resort also boasts 10 swimming pools and a water park as well, so you can spend the day splashing around the water park, or play tennis on one of the six lighted tennis courts. Recent reviews by Andrew H.